The Music Trust has announced the three finalists for the prestigious 2017 Freedman Jazz Fellowship, Australia’s premier award for excellence in jazz. This year’s contenders for the annual award are trumpeter Nick Garbett, trumpeter Ellen Kirkwood, and pianist Emma Stephenson. All three have forged strong careers as both composers and outstanding instrumentalists. The judges, distinguished jazz musician/composers Stu Hunter, pianist, Mike Nock ONZM pianist, educator and Dr Phillip Johnston, saxophonist, educator selected the three finalists from a group of 16 national candidates nominated by outstanding musicians around Australia. The finalists were judged in part on their proposed career enhancing project for which the prize money would be used. Dr Richard Letts, Director of The Music Trust said “I was delighted to see a strong representation of outstanding female artists in the competitive field of nominees this year. Our final concert will include two women composers and instrumentalists. All finalists clearly display an original voice and intend to pursue ambitious projects with broad implications for the evolution of the music as a whole”. Since completing his Bachelor of Music in Jazz Performance at the Sydney Conservatorium in 2005, Nick Garbett has gone on to build a diverse and exciting career as a jazz and contemporary trumpet player, composer and band leader in Australia. 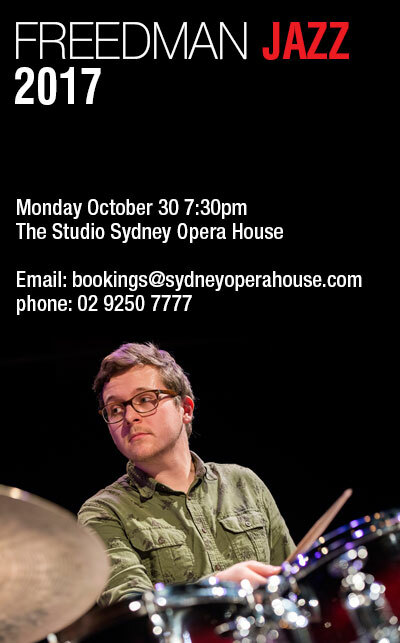 Nick is a founding member, co-leader and composer for Sydney based groups The Vampires and The Strides along with his own groups Garfish and the Nick Garbett Quartet. He was also a long time member of Colombian roots band Watussi. Over the years performing, composing for, and co-leading these original groups he has also co-produced 10 albums and toured both nationally and internationally to countries including Colombia, Peru, Costa Rica, Japan, Korea, China, Indonesia, Borneo, USA, Germany, France, Austria, Italy, UK, Canada and New Zealand. Alongside his performance and recording career Nick has also been highly committed to music education, teaching trumpet and Jazz improvisation at the Wollongong Conservatorium of Music since 2005 and at several schools in the greater Sydney and Illawarra regions. Ellen Kirkwood is a jazz composer, trumpeter and long-time member of Sirens Big Band. Rapidly gaining recognition for her imaginative writing style, Ellen’s works are both challenging and accessible, with strong grooves, angular melodies and non-Western influences. Ellen has received commissions from Sydney International Women’s Jazz Festival, SIMA and Ars Musica Australis. Her works are performed across Australia by ensembles such as Captain Kirkwood, The Mieville Project, Sydney Women’s Jazz Collective, Fat Yahoozah and Mister Ott. She has recorded and released her own music with ABC Jazz. Emma Grace Stephenson is an Australian pianist and songwriter who has shared the stage with prolific musicians and bands such as Ingrid and Christine Jensen (Canada/US), Gian Slater, the Sirens Big Band, Sandy Evans, Greg Gould (Australia’s Got Talent 2013), and Brittanie Shipway (The Voice 2014). Her music combines rhythmic, harmonic, and improvisatory elements from her roots as a modern jazz pianist, with folk-pop song writing influences. Emma is the latest recipient of the ‘Jann Rutherford Memorial’ award for young women in the Australian jazz scene. This award facilitated collaboration with the award winning Australian vocalist, Gian Slater, culminating in performances for the Melbourne and Sydney Women’s International Jazz Festivals, and a recording at the Australian Broadcasting Corporation (ABC) studios in late 2016.